Woodhead Improve completed the refurbishment of an existing Cricket Pavilion on the West Common in Lincoln. The much-needed improvements included new toilets and changing facilities, a new kitchen, new windows, walls being partly rebuilt and redecorating throughout. 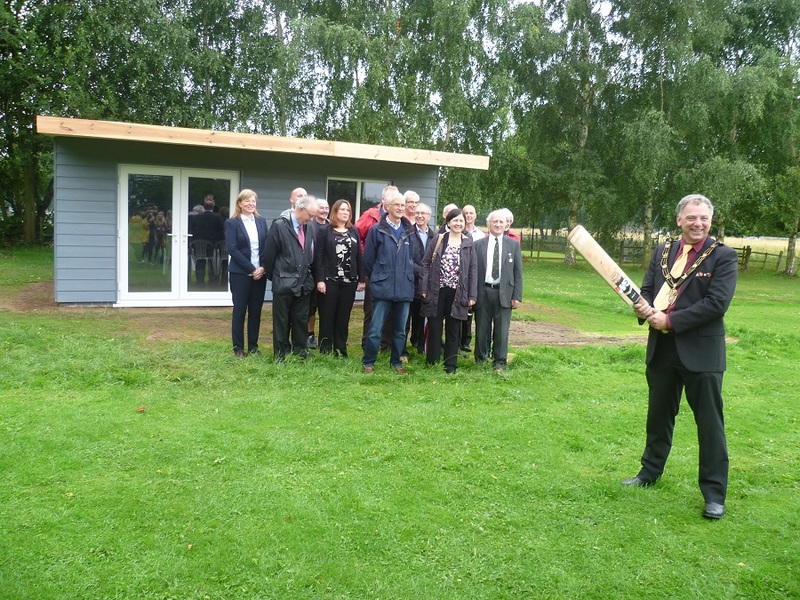 The cricket pavilion on the same site has also been rebuilt on the existing footprint, after it had suffered from previous acts of vandalism. Funding for the work came from Section 106 monies – contributions made by developers to be spent on improvements to community facilities and infrastructure. The project was procured through the East Midlands Property Alliance (empa) Minor Works Framework. Empa ii aims to improve the efficiency of procurement and delivery of construction and property maintenance projects for public sector bodies. Age and structural condition of the building – The pavilion is nearly 100 years old, having been built during the First World War by the Air Ministry for Royal Flying Corps, for pilots and ground staff to use when the West Common operated as an Aircraft Acceptance Park. The condition of the existing pavilion was very poor, there was vegetation growing through some of the windows and beneath the plaster on the interior walls, underlying blockwork was soaking wet because of roof guttering needing replacing. Overall there were a number of visible cracks to the external render in various locations and it was a priority to minimise the impact of the refurbishment works on the structure of the existing building, especially near to the existing chimney. To ensure that the full extent of any existing structural damage was identified the works were subject to a structural engineer’s report. The survey was not intrusive to avoid causing any damage to the property and focused primarily on the exposed areas. Live site – West Common is a hub of activity for the local community, and the pavilion acts as the focal point. This meant that the general public, and bowls & cricket team members would be in close proximity to the site during the works. Residents of Lincoln are also allowed to keep horses on the West Common that roam free. Site operatives and site visitors always needed to be aware of large groups of horses running around the common. During the contract, the general public (building users included) were protected by the erection of fencing surrounding the site to segregate the works from the general public. Signage was put in place to inform the public and building users that works were being carried out and to warn them of the dangers of the site so access was not permitted for their safety. All fencing used was erected securely and did not harm any horses that passed close to it. Working together with the local Sports team – A list of dates of Home bowls and cricket fixtures was shown on the Construction Programme and was held in the site office. Cricket fixtures were on every Sunday, and bowls fixtures every Thursday afternoon with other fixtures taking place, predominantly on a Monday and Tuesday. The Chair of the Bowls Club required access to ‘open up’ for the Thursday afternoon fixtures. He was inducted on to the site and supervised at all times. A Risk Assessment was written to reflect this. The rest of the team used an external access into the Conservatory. The Site Manager organised works on a Thursday afternoon to be in areas away from the Conservatory and WC’s. The construction programme was written to give Bowls and Cricket club users an area for changing and WC’s throughout the works. Where water had to be turned off, the Chair was notified in advance of the disruption. Innovative Recycling – Throughout the duration of the contract, timber waste from the Pavilion was provided to a local sculptor who was able to recycle the materials in order to make pieces of art. Over the course of the refurbishment the sculptor was able to create 3 individual pieces of artwork. · Bowls club maintained access to the facilities for the duration of the works.